The World Health Organisation (WHO) recently issued a list of most polluted cities in the world. The list consists of 500 most polluted cities covering the period from 2008 to 2017 in the world. However, Seven of the top ten most polluted cities in the world are in India. The World Health Organisation (WHO) recently issued a list of most polluted cities in the world. The list consists of 500 most polluted cities covering the period from 2008 to 2017 in the world. However, Seven of the top ten most polluted cities in the world are in India. According to a new study reflecting South Asia's battle with the deteriorating air quality and the economic toll carrying it worldwide. Lucknow in Uttar Pradesh is Ninth in the list. India, the world's fastest-growing major economy, makes up 22 of the top 30 most polluted cities, with five in China, two in Pakistan and one in Bangladesh. 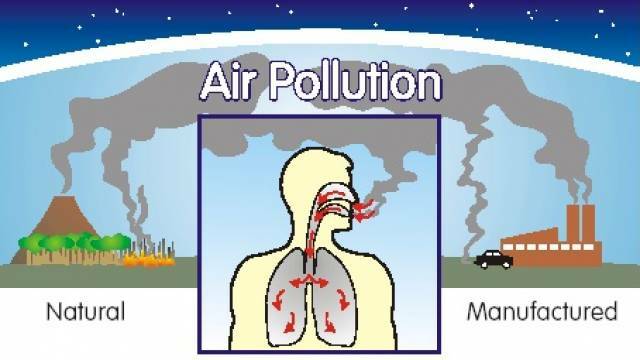 Air pollution affects all regions of the world. However, populations in low-income cities gets more harm. According to the latest air quality database, 97% of cities in low- and middle- income countries with more than 100,000 inhabitants do not meet WHO air quality guidelines. However, in high-income countries, that percentage decreases to 49%. The database used to represent the air quality by the annual mean concentration of particulate matter (PM10 and PM2.5, i.e. particles smaller than 10 or 2.5 micrometres, respectively). The decrease in the quality of air leads to the risk of stroke, heart disease, lung cancer, and chronic and acute respiratory diseases, including asthma, increases for the people who live in them.